Learn how telematics can help you: Save Lives. Save Time. Save Money. GSatTrack provides a universal and hardware-agnostic, cloud-based data visualization and management platform that allows managers to track, command, and control assets in near-real-time. 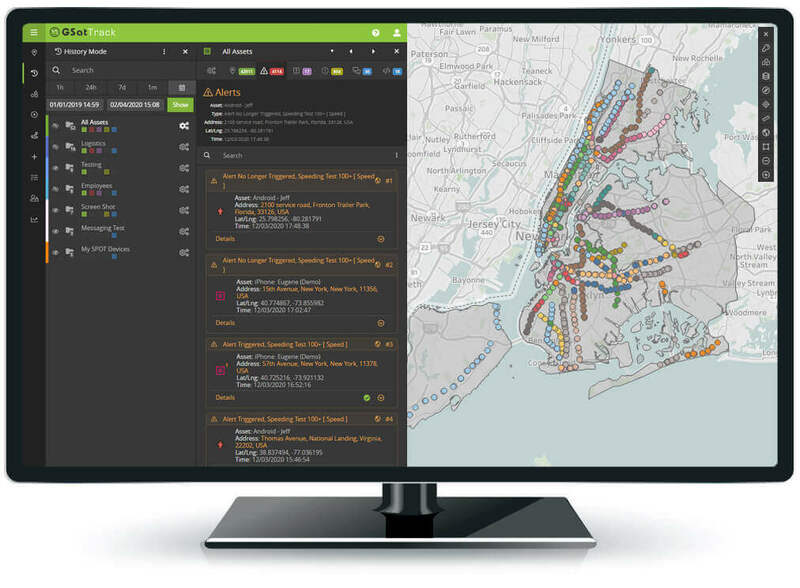 All of your operational intelligence data in a single portal: GSatTrack gives managers the power to view the location, behavior, and other telematics data collected by assets in their organization’s technology ecosystem. Assets can be grouped and sorted, interfaces and user permissions customized, and alerts or reports automated to suit the needs of the organization. Interact with any node in the data ecosystem from anywhere: activate assets directly from the interface, configure the reporting settings, understand diagnostic information to manage maintenance needs, send commands, and communicate directly with operators. 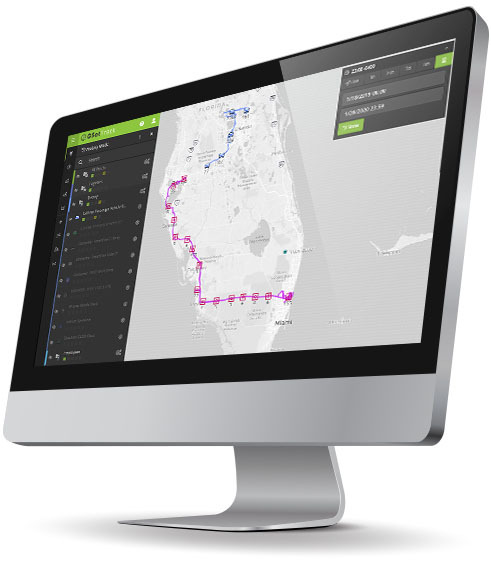 Insightful decisions to save resources, time, and lives: organizations with extensive data acquisition node networks, hundreds or thousands of tracked assets, or extensive fleets can employ GSatTrack’s robust fleet management capabilities to leverage operational data toward achieving efficiency goals, cost savings, and risk mitigation. No longer just focused on asset locations, tracking products have become more robust, more intelligent, and more data rich. Knowing the whereabouts of every asset in the ecosystem is still the core functionality of every telematics and tracking product, as it dictates the functionality of advanced features. What is it doing? With all of the advanced sensor technology available to hardware assets in the 21st century, managers can turn their networked assets into live operational data mines. Whether operator triggered or automated by the system, GSatTrack creates events in the interface that allow managers to focus their attention on active assets with relevant status updates. Mostly automated with advanced features, but also operator triggered, Alerts allow managers to recognize assets that are in dangerous situations in near-real-time, and mitigate risk. Active management tools give anyone the ability to interact with any connected device, anywhere, at any time, directly from the portal. Advanced devices can not only transmit but receive and process commands, text messages, or behaviors. GSatTrack provides a unified interface to all these capabilities and features like device agnostic text messaging and routing. Using GSatTrack with a OTA supported device gives you the ultimate remote control capabilities including remote diagnosis, setting and testing parameters from a distance, and copying features throughout a fleet of devices easily, directly from one portal interface. In conjunction with specialized map layers to visualize data, managers can set up geofences with alerts to provide constant monitoring of conditions, or use geofences to group regional areas of mobile assets. Geofences also provide general grouping functionality with various GSatTrack features. Data funneled into GSatTrack informs managers of behaviors, unsafe conditions, performance, and decision making intelligence. These decision making data feeds can lead to rerouting of assets, remotely controlling an asset, or shift changes, leading to better informed decisions. Maximizing the operational data ecosystem is all about finding ways to convert the data collected into real currency figures. 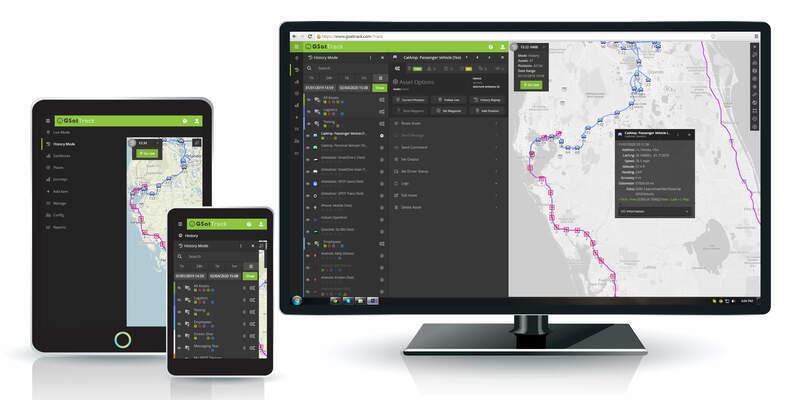 In the interest of converting data to real, tangible currency, fuel cost savings techniques are typically an organization’s first measure of return on investment for telematics data technology. Organizations that are taking full advantage of their telematics data typically succeed in optimizing the capacity allocation of their machinery, resulting in easily measurable productivity gains. Using advanced reporting and budget-tracking tools, managers have the ability to use data in GSatTrack to understand long-term labor effectiveness and allocate accordingly. GSatTrack is a powerful tool set, and no small factor in its ability to deliver solutions for any organization is the ability to work with an array of third party tools to augment its effectiveness.